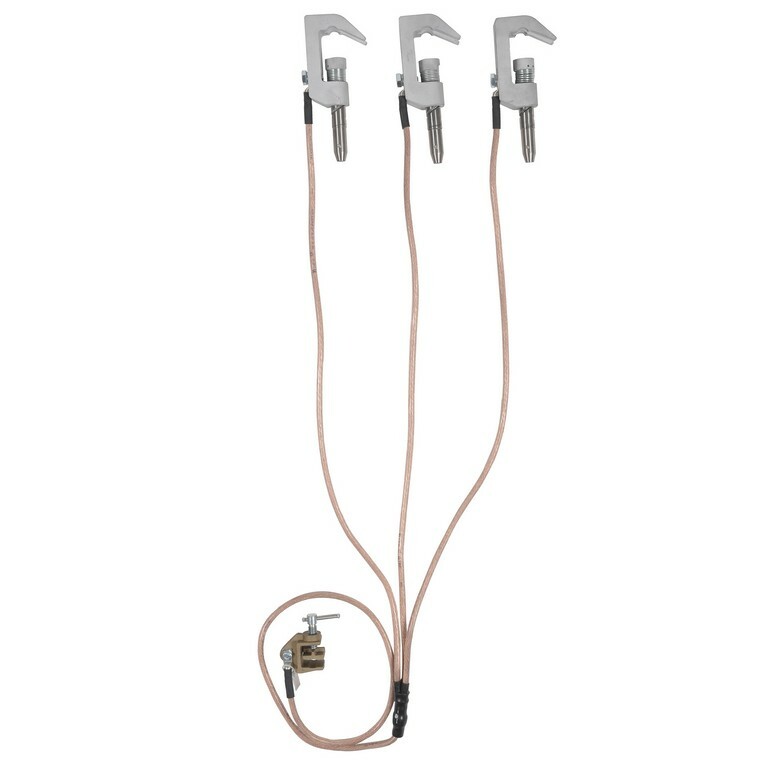 The three-phased earthing device is equipped with three fast automatic phase clamps (“CAR” type) which can be fixed on spherical pieces (diameter 30 mm) permanently mounted on bus bars. The “CAR” automatic clamp contains an extruded body made of alluminium alloy and a fast tightening screw with a bayonet terminal for coupling with PMU insulating sticks. The short-circuiting device is delivered in a transport bag/box.